In our last episode, we talked with astronomy professor Cornelia Lang about how she uses an active learning classroom in her “Big Ideas” course at the University of Iowa. In this episode, we continue talking about active learning classrooms and the roles that technologies play in supporting student learning in these spaces. At the 2017 POD Network conference in Montreal, Derek Bruff interviewed D. Christopher Brooks, director of research at EDUCAUSE, the higher education technology association. 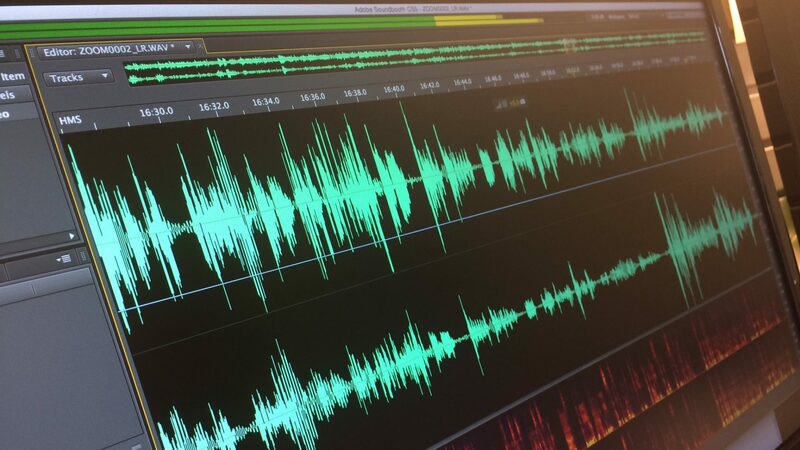 Derek Bruff: [00:04] Welcome to “Leading Lines,” a podcast from Vanderbilt University. I am your host Derek Bruff, Director of the Vanderbilt Center for Teaching. In this podcast, we explore creative, intentional and effective uses of technology to enhance student learning, uses that we hope point the way to the future of educational technology in higher education. [00:21] In our last episode, we talked with Astronomy Professor Cornelia Lang about how she uses an Active Learning Classroom in her Big Ideas course at the University of Iowa. Today, we continue talking about Active Learning Classrooms and the roles that technologies play in supporting student learning in these spaces. [00:36] At the 2017 POD Network Conference, Montreal, I interviewed D. Christopher Brooks, Director of Research at EDUCAUSE, the higher education technology association and a long‑time colleague of mine, via twitter. [00:48] As part of his work at EDUCAUSE, Christopher oversees massive surveys of students, faculty and higher education IT professionals. That makes him pretty much the perfect guest for Leading Lines because he’s got he’s got the data on trends and educational technology in higher ed. [01:02] He’s also done some really interesting research in Active Learning Classrooms and how learning happens or doesn’t happen in these classrooms. The debate over whether or not to ban laptops in the classrooms, I think you’ll find this interview blows that debate up just a little bit. Derek: [01:18] Well, thanks for chatting with us today, Christopher. Christopher Brooks: [01:21] Thanks for having me here. Derek: [01:22] We’re here at the POD Network Conference, so you can probably hear a little conference noise in the background. [01:28] Tell us a little bit about what you do now at EDUCAUSE and maybe a little bit about what your background is. Christopher: [01:36] Presently, I’m the Director of Research at EDUCAUSE. In that role, I still continue to be a PI on a lot of research projects that we do, but I also have the responsibility for managing the general flow of research, as well as designing research projects and thinking forward about those things. [01:56] I stand as an intermediary between the executive level folks and the folks that are on the ground actually doing research, doing a lot of planning and thinking about long‑term nature of the projects that we’re doing. [02:11] By still being a PI on a lot of these things, still down in the weeds and get my hands dirty with the research, which is really enjoyable, I think also shaping the direction that we take the research is becoming a lot of fun. Derek: [02:27] Tell me a little bit more about the EDUCAUSE research. What are some of the questions that you’re looking at? Christopher: [02:34] The EDUCAUSE research tries to serve the higher education IT community and to be on the forefront of major trends and themes that are emerging within higher ed IT. [02:47] One thing that we participate in each year is an annual top 10 IT issues and top 10 strategic technologies, that is a survey that we do with experts and individuals within the field of higher ed IT. We gather their expertise to determine what, for the next year, are going to be the big issues going forward? [03:08] We try to use that to set a little bit of our research agenda, to somewhat to be responsive to that as best as we can. We also have a couple of other standing projects. One thing that we’re well‑known for are the annual student study that we do, where we survey undergraduate students across the US, and even the world. We typically just write about the US data. [03:31] This year, we also have our biannual faculty study, that’s released as well, where we survey faculty about their uses and experiences with higher ed IT. One of other big projects that we do in service to the higher ed IT community is a workforce project. [03:54] We survey people within the higher ed IT workforce, find out what they are doing, ask them about their salaries, their positions, their aspirations, where they’ve been. [04:02] The last time that we did it two years ago, we asked them about, two positions ago, what they were doing and where they wanted to go two positions from now, and tried to model that out a little bit to understand what kinds of paths exist for people in terms of what they choose as a career. [04:22] Part of that is trying to figure out what can lead to leadership positions as well. We do a lot of that kind of research in service to the higher ed IT organization so that they can make conscious decisions about staffing, about decisions they want to make about supporting faculty in terms of teaching, and supporting students in terms of learning. [04:42] We throw in a few other projects here and there as well. Derek: [04:45] Yeah. One of the projects I want to talk to you about is one that you’re involved doing before you moved to EDUCAUSE, and that’s looking at Active Learning Classrooms. What is an Active Learning Classroom, and what have you learned about them through your research? Christopher: [05:00] Active Learning Classrooms, as we tend to talk about them, tend to be modeled on something that was developed at North Carolina State University, picked up a little bit by MIT and then finally at the University of Minnesota where I was. [05:13] These are classroom spaces that are built and designed with the idea of enabling or creating affordances to make doing active learning pedagogical techniques easier. [05:25] Certainly, we know that active learning can take place really in any environment. Doing it in a large‑tiered lecture hall is difficult if the students are all sitting in fixed‑seat rows and are facing forward into the room and so forth. [05:38] What Active Learning Classrooms do is to flatten space out so the faculty members are basically on the same physical plane as the students and have easy access to them. They can walk around. They tend to feature round tables or some sort of table. In the model that we work with, they feature round tables, but increasingly we’re seeing variations on furniture styles and so forth. [06:02] The idea is that you have the students facing one another so that they can talk directly to one another, interact, and do things with [inaudible] and so forth. They also tend to have writing spaces on the walls that are easily accessible to students so that they have a bit of an ownership over the board spacings in the room. [06:22] I don’t know if you remember being a kid. The board was either a dreaded place to go or a forbidden place to go. You either weren’t allowed to write on the board at all, or you were called to the board to do something. Derek: [06:34] Sure. Everyone stared at you, and you probably screwed it up and felt terrible. Christopher: [06:38] Right. It was this demeaning prohibitive experience. What ALCs do is to really open that up and give students the ownership of the boards. Sometimes even when the instructor is talking and walking around the room, you’ll see students get up and write on the boards. It creates a collaborative space for them to do these things. [06:56] Now, those are the basic analog technologies that are in this space and are the things that we’ve found through our research that folks tend to like and might actually be the key to Active Learning Classrooms. [07:07] On the technology side, of course having robust, dense WiFi is important because on average, as we know from the EDUCAUSE research, students have two to three devices at any given time that they’re connecting to the WiFi. If you have a classroom of 180 students, you’re getting into the 500 hits on the WiFi service. You need that. Derek: [07:58] Just those acronyms, right? SCALE‑UP? Christopher: [08:01] Yeah. The SCALE‑UP classrooms were designed at North Carolina State University by a physics professor there named Robert Beichner. I think he began to develop in the mid‑’90s or so. The success that he had with that inspired folks at MIT to take that up. [08:19] They developed their specific rooms called TEAL. I think it was from there that the University of Minnesota, between the information technology office and the classroom management office, visited both of those campuses, took what they saw as the best, and created the Minnesota Active Learning Classrooms. When we had those, the first two were piloting classrooms. [08:42] One held, I think, 117. The other was 45. After a series of experiments and so forth, they decided to build an entire building full of Active Learning Classrooms. That was one of the things that really began to expand the visibility of those kinds of spaces even further. Derek: [08:57] You were talking about the analog technology versus the digital technology. I guess that’s one of the questions that I have because I will talk to administrators and campus planners who are designing new classrooms. The conversation very quickly moves to digital technology in those spaces. How many screens? [09:17] Sometimes, they talk about microphones, but often they’re looking at projector screens and fancier and fancier projector screens. Each table of six students is going to have its own drop‑down screen. I’m wondering in your research, how do you parse that out? You indicated that it’s actually the tables and chairs that may matter more. Christopher: [09:40] Very early, in even the pilot research that we were doing at Minnesota, we began to hear rumblings, anecdotes from students and faculty, that what they thought was the most important technology in space were the round tables because it created a situation that was conducive to them to interact with one another, to talk and so forth. We consistently heard that over the years. [10:05] Survey after survey, each semester, each semester students were telling us this. One thing that’s particularly interesting is that some neighbors to the University of Minnesota at Bethel University in Saint Paul did a quasi‑experimental design where they did a low‑tech and a high‑tech version of Active Learning Classrooms. [10:24] I think they did maybe basic iPads or something like that. I forget off the top of my head, but what they found was no significant difference between the low‑tech and the high‑tech version in terms of student outcomes. That actually provides a nice bit of empirical evidence in support of something that we’ve been seeing anecdotally for a really long time. [10:48] I think that the tables are probably the most important technology. The white boards are probably the second most important technology in the space, and of course neither of those are digital. [10:58] The good thing about the research that comes out of Bethel and the things that we’ve seen there is that institutions that are interested in creating active learning spaces don’t have to go whole hog into the really expensive high‑tech ones to probably get the benefit of the space. [11:14] I do think that at a minimum having a robust WiFi coverage for students to be able to use the devices in active ways is really critical, but when we get into the high end projectors and the really nice display screens that students link their computer screens to and so forth, those are nice to have, but are probably not necessary. [11:46] In my experience of doing classroom observations and working with faculty who have been in these spaces, and even having taught in one, it’s really hard to come up with activities that really are aimed at your learning outcomes that grab ahold of what those technologies in those spaces can do. [12:06] Sometimes, it’s overwhelming enough just developing an active learning exercise to work on with students in order to achieve your objectives. Adding that extra layer of technology and if there’s no real purpose to it, seems superfluous and extra work. [12:24] Where I tend to come down on things like that is to advocate for a thoughtful integration of digital technology where it helps, where it has a function, where it can actually enhance the learning project. [12:39] There’s not a lot of faculty that use these spaces and those technologies in them to their full capacity, and this is part of why we wrote the book, “A Guide to Teaching in Active Learning Classrooms,” is to help folks figure out the kinds of things that they can do, the kinds of barriers it’s going to find in those spaces and to really think through how teaching in this space is different than teaching in a traditional classroom. Derek: [13:05] What are some of those differences? If you have a faculty member who’s maybe just getting started with an active learning space, what are some strategies or approaches that you might recommend they try out? Christopher: [13:17] One, they have to commit themselves to thinking about learning about what active learning means and what that entails in terms of a pedagogical approach. It really is a shift in mindset to go from a lecture‑based faculty centered pedagogy to make that leap into a much more student centered one. [13:39] Most of us, we’ve gone through graduate programs to the degree that we’re ever taught how to teach. We mimic what we see. We mimic the lectures that we received when we were undergraduates. We mimic the discussions that we have in seminars and so forth. Without a formal training or advice, we monkey see, monkey do. [14:02] We replicate what we’ve done. To really begin to think about making those shifts, it requires first of all the will [laughs] to make it happen. It’s hard to get people who are unwilling to do this, to make those shifts, but once we are willing, there is a lot of help out there. [14:20] Teaching and learning centers across campuses are a very excellent resource and can put into the hands of the interested faculty member lots of resources, books, articles, and so forth with some really great ideas for activities and how to structure classes, how to design activities. [14:38] One of my favorites is Dee Fink’s “Designing Significant Learning Experiences,” but the whole notion of backwards design and to be very deliberate about what it is that you’re doing whether they’re walking in with a slide deck and talking for 50 minutes. Derek: [14:52] For me, as I talk to faculty about this is that shift from, “What do I want to cover today,” to, “How do I want my students to think? What do I want them to be able to do at the end of class and what are the activities that will help them practice those skills?” It’s a lot more about what they’re doing and a lot less about what you’re presenting. Christopher: [15:15] I think that’s precisely it, and this is one of the biggest barriers for faculty to move from the lecture‑based pedagogy into an active learning, whether it’s moving into one of these spaces or not is to let go of content. I’m guilty of this. When I used to teach political science courses, especially my intro ones, I had a stack of lectures. [15:38] They were all pinned together with nice little overheads and outlines, and we would go through it. It was systematic, and it had all the content that I thought the students needed in order to have a good base understanding of each of the countries that we were examining. It took a long time to realize that letting go of that content, that’s what the book is for. [16:02] Let them read that. When I had the chance several years after leaving political science proper to teach another intro course on the same but in an Active Learning Classroom, even though it was a one shot, I revamped the entire thing. Threw out the lectures, thought about what I wanted from each chapter. I designed teams. [16:23] I did the whole shebang, and I let go of the content, and it was hard because there are some basic things you should know, but I’m going to have to assume that you know them to some degree and to design some significant learning experiences for you in the class so that you can apply the stuff that punitively you have learned about. [16:46] Rather than lecturing to them about advanced industrial democracies and elections, I would have them download election data on the countries that they were representing in their pods, and then to analyze that and to plot it and to try to interpret hiccups in the data and that kind of thing. [17:05] Getting them to actual do political science, to do data analysis, to do empirical work was the ultimate goal, even when I taught it several years prior, but it was about me opening up their heads and putting all that information in there. [17:22] This was much more rewarding, but it was hard. It was a really difficult thing to do, but I really felt like it would be pedagogical malpractice to go into an active learning classroom, having done the research that I’ve done, knowing what I know about those spaces and not making those accommodations and affordances. It really is an eye‑opening thing. [17:45] Once you’re aware of the fact that active learning as a pedagogy is superior to lecture, it’s hard to continue lecturing, and once you know about the affordances of the space and what you can do in it and what you should be doing in it and not be doing it, it’s hard to do the bad stuff. Derek: [18:05] You mentioned having students go and get data and analyze it, and you mentioned the importance of having good WiFi in the classroom. I think one of the things that I hear a lot, usually in the August conversation with faculty, is how to manage students’ mobile devices in the classroom. [18:23] Do you ban laptops? Do you allow them? It sounds like in the active learning spaces you’ve looked at, students are often encouraged to bring a device ‑‑ an iPad or a laptop ‑‑ and then given something really particular to do with it. What would you say to a faculty member who’s a little concerned about having students get out their mobile devices during class? Christopher: [18:45] [laughs] This is a perennial issue that we’ve run into with the student and the faculty studies that we produce at EDUCAUSE. It is that we find consistently that students own a lot of technology and they see it as being very important to their academic success, and they tend to use it in most of their courses. [19:08] Laptops are the workhorses, they are the things that are seen by students as the most important thing because they can do so much on them. It’s not just a consumable device. They write on it, they do data analysis on it, they can do complex engineering calculations, etc. That’s what that’s for. [19:29] We’re actually seeing tablets get squeezed out a little bit by smartphones, because in many ways, it’s a replicated functionality, and they’re bigger and a little bit more awkward. Students have increasingly said that their smartphone is more and more important to them. [19:44] I think they use it maybe for quick hits to look up information, maybe to check grades, to download homework, just a lot of easier consumable things, or action things. We saw this year a pretty big uptick in the number of students who say that it’s important to their success. [20:02] This year for the first time in the faculty study, we are seeing an increase in the number of faculty who are banning or discouraging digital devices in their courses. [20:12] For the first couple of years that we were doing the faculty survey, we actually saw that gradually ticking down, and we took that as a good sign that the faculty were not being reactionary to student devices in the classroom, and we were hopeful that they could see the tactical advantage of students having these devices in their pockets. [20:33] Our smartphones are more powerful than the computers that put people on the moon. To ban or discourage these tools, because we’re afraid that they’re not paying attention to us, because they’re looking at Facebook or they’re somehow distracted, I think it’s really short‑sighted in many ways. [20:50] In last year’s student study, we found that students admit to being distracted and admit to doing things that they shouldn’t be doing. [20:57] There’s also some other evidence, not from our study but elsewhere, that part of the reason that they do it is that they’re bored. If you’re lecturing to students in the class, and we know that you can’t keep your attention for that long, that’s going to break, of course they’re going to text someone. They’re going to get on Facebook, they’re going to Twitter, whatever the app du jour happens to be. [21:17] Part of that is on the faculty member. It’s not so much a technology problem that they have, it’s an engagement problem. If faculty can think very carefully about how to leverage the devices that students have in their pockets, it can be a game changer. Derek: [22:05] Yes. I read that blog post. As did many, many people. Christopher: [22:10] I think that’s problematic. In many ways, what I think happened there in terms of faculty increasingly banning or discouraging, is seeing those things and having confirmation bias that bad things happen when students have technology in the classroom. [22:47] There’s a skill there that is not properly done. Perhaps the laptop encourages straight up dictation and then translation that way, but we don’t ban their pencil and paper because we catch them doodling in the classroom. [23:04] These are devices that are important, these are technologies. The pencil and the paper is a technology, and I certainly doodled in the margins of my books when my professors get boring from lecturing too much. Derek: [23:16] My [inaudible] books have so many superheroes doodled in the margins, right? Christopher: [23:21] Yes. Absolutely. Very [inaudible] things, right? Derek: [23:26] I really liked that study on note‑taking because I think it’s a topic that we don’t pay enough attention to, is teaching our students how to take notes well, and I do think that a student with a laptop tends to just transcribe everything, so it does lend itself to that. [23:39] What I took from that study was that in fact to take good notes, there is a Goldilocks zone. If you write down too much, you’re not processing and absorbing and synthesizing. If you don’t write down enough, then you don’t have notes to use later, and so taking notes by hand tends to slow people down enough that they have to do a little condensing, a little synthesizing. [23:58] That said, that all assumes that the activities students should be doing at that time is taking notes. There’s other things we can have students do during in class, that may actually be more useful to their learning, than just listening to someone talk and taking notes on that. [24:12] That’s where I get excited about the use of smartphones and laptops in the classroom, because if it’s a classroom response system, if it’s working through some Excel spreadsheets, there’s things we can do with these technologies that are actually helping students develop the skills we want them to, and I think it’s reasonable to spend class time doing that. [24:29] We don’t have to just assume that’s what they do outside of class with problem sets or homework, but to actually be in there, and that’s what I hear about the Active Learning Classroom. [24:37] Part of the furniture is set up so students can do that in collaboration with each other, and so the instructor can circulate and come and check in with students, and ask them questions and give them feedback. That’s all good stuff. Christopher: [24:50] I agree with you completely. Derek: [24:53] Yeah, I can get on a soapbox about this. Let me shift gears just a little bit. You mentioned some of the work that you do at EDUCAUSE and the research projects you’re involved with, and I think it gives you kind of a bird’s‑eye view on the IT landscape in US higher education. [25:10] One of the things we’re trying to do with this podcast, Leading Lines, is not so much predict the future of educational technology, but to try to shape it, and so given your perspective, where would you like to see educational technology go in the next three or four years? Christopher: [25:27] Well, I think it depends upon the type of technology that we’re talking about. For Active Learning Classrooms as a technology, and for this year 2017, ALCs were actually the number one strategic technology as filmed by EDUCAUSE. It was the first time that’s ever appeared in the top 10, and went straight to number one. Derek: [25:59] That survey goes to university IT leaders, right? Derek: [26:03] It’s the leaders who are really paying attention to Active Learning Classrooms, now. Christopher: [26:08] When we categorize, like where we are in 2017, I think EDUCAUSE labeled it as…we’re still on the experimental stage because there are some institutions that have a lot of them. Minnesota has a lot of them, other institutions are building entire buildings that have them, we’re hearing about this more and more. [26:29] But there are a lot of institutions that are just ALC‑curious right now and are still trying to figure out what, if anything, to do about it, but what EDUCAUSE is predicting is that in 2018‑2019, it’s going to become much more of an emergent technology. [26:43] We’re going to see a growth in the number of these types of spaces on more and more campuses, and then within the next five years, we’re expecting them to be mainstreamed. [26:52] If that’s the case, then those of us who’ve been doing research on this and have been talking about teaching and learning in these spaces for a long time, are going to have a lot of work in front of us, to help get people up to speed on that. [27:03] When you ask what I would like to see in the next five years or so for ALCs, I would like to see that come to fruition, I would like to see every campus have at least a couple of these spaces on their campuses, to enable the fact that they are really interested in engaging in active learning pedagogies, to have the spaces that really afford them the opportunity to do so, and to do so well. [27:24] That said, sometimes my advocacy for ALCs is taken as, “You’re saying that we should get rid of all other kinds of classrooms.” I don’t think we’ve ever argued that coming out of our research. We believe that there are appropriate spaces for different kinds of activities. You don’t hold a wet lab in an Active Learning Classroom, you don’t do theater in a lecture hall. [27:50] The different spaces are needed for different kinds of things, but I think what we need are active learning classrooms on campuses so the people who want to do that can have those accessible to them. That’s on the first technology. [28:03] I think for the mobile devices that students carry with them, I would like to see more evidence‑based recommendations and practices for activities and uses of those devices in either traditional or Active Learning Classroom spaces. [28:21] I think there are ways in which they can enhance teaching and learning, and there are probably a lot of ways that they don’t, and I don’t know that we know very clearly yet what the good things are, necessarily. [28:32] I would like to see more of that, because if we can have more of that evidence, we can put it under the noses of faculty and help to convince them to stop banning and discouraging these devices. [28:44] Maybe it can help them to think about leveraging that technology that’s in all of the students’ pockets and backpacks. I know that research isn’t necessarily the technology, but I think we need the evidence. Derek: [28:55] Yeah, yeah, and now that you mention it, the studies that I read that deal with laptops in the classroom, most of them assume that the laptops are there for note‑taking purposes. [29:07] I haven’t seen research that looks at pros and cons, and outcomes, and choices that faculty might make for other uses of this technology. You’re right, that research base is really thin, so I’d like to see more of that too. Christopher: [29:21] The intentional use, for example, of a chemistry simulation. The intentional use of that repeatedly in courses, should be fairly easy for the instructor to test the impact of that, but we don’t see that. [29:39] If it happens in the classroom, it happens, but the rest of us don’t necessarily know about it, and knowing about the good uses of those technologies and why it works, and how it enhances that learning experience is something that we need. [29:53] Faculty have told us at EDUCAUSE through our faculty studies, repeatedly, that the thing that would get them to use more technology is evidence that it works, or that it benefits the students. [30:07] This is I guess why I come back to say this is what we need, is solid empirical research that is suggestive of what you could do very well because I think we use technology badly in a lot of ways as well. [30:22] I think a lot of instructors may use technology for its own sake, or advocate for it because they’re fanboys or fangirls of digital technologies, and so I don’t want to see us do that either, just technology for its own sake. It has to be pedagogically driven with some empirical chops. I think that’s one of the reasons that, for example, ALCs are taking off. [30:50] This is one educational technology, for which we have considerable evidence of its effectiveness in terms of student learning outcomes, of their learning experiences, of shaping and changing instructor behavior, and serving as a catalyst for all kinds of changes in the classroom. [31:11] I think because we have that evidence, this is why we’re seeing it emerge as a technology that is going to continue to grow and to spread. Derek: [31:21] We have a question we ask all of our podcast guests. I think in your case, you’ve already touched on it a little bit, but I am going to ask it anyway. What is your favorite analog educational technology? Christopher: [31:35] I’m going to surprise you a little bit because I think you think that I’m going to say the tables, or the white boards from the Active Learning Classrooms. While I do like those, especially within the context of ALCs, I have to step back and use the larger picture outside of that, and I would say books. [31:55] I think that books are probably the most important analog technology that we have. They’ve been around for a very long time. I don’t think that they’re going to go anywhere. What they provide us in terms of the tactile experience, as well as the knowledge contained therein, is incomparable. [32:18] I was initially going to say the green pen that I used to use to grade and teach on because it was…a green pen is a fabulous thing because no one else wants to steal it. It’s non‑threatening to the students when you grade. I do think books are probably the most important technologies. Derek: [32:39] Since you might know the answer to this, one of the things that we’ve been trying to figure out on our campus is, how appealing e‑textbooks are to students? Do you have any sense of that balance? My impression is a lot of students actually prefer the print books. Christopher: [32:57] We have data on this and I don’t have it in front me, so I’m reluctant to decide it straight up. [33:01] But I think what you suggest is true, that there are some students who like the e‑textbooks and so forth. I think there tends to be a preference for something that is physical, that they can write in the margins, and putatively, you can do that in the digital environment. You can slide notes on it and so forth, but I think there is the tendency for students to prefer the actual physical book over the digital one. [33:26] I think those who do like the e‑books mentioned the convenience of having a lot of books on one single device, so they are not schlepping around 30 pounds of books every time that they go to class. Some folks just like that interface better, I am sure. [33:42] I tend to prefer the physical book. I’ve tried to do the e‑reader thing at the Kindle app and all of that stuff. I can’t do it. It’s like I’ve had enough screens for the day, because that’s been so much my time now. Derek: [33:56] Thank you, Christopher, for talking, because this has been really fun. Christopher: [33:58] Yeah. Thank you, Derek. Appreciate you having me. 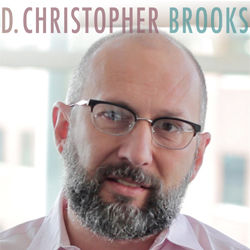 Derek: [34:03] That was D. Christopher Brooks, Director of Research at EDUCAUSE. I was fascinated to hear about the trends EDUCAUSE has identified in higher education technology. I’m worried that more faculty are banning laptops, but I’m excited that campus IT leaders are moving toward a future with lots of Active Learning Classrooms. [34:18] I look forward to a future where lecture halls aren’t the standard for college classrooms or the affordances of Active Learning Classrooms ‑‑ tables for group work, whiteboards all around, furniture with wheels — are commonplace on our campuses. I’m glad for research like Christopher’s to help us figure out what that future should look like. [34:34] For more on Christopher Brooks and his work, see the show notes for links. The book he authored in 2016, A Guide to Teaching in the Active Learning Classroom, is one that you might pick up if your campus is moving toward more Active Learning Classrooms. [34:47] I’ve also added links to the SCALE‑UP and TEAL initiatives at North Carolina State and MIT that Christopher mentioned, as well as a collection of Flickr photos I’ve taken on innovative classrooms around the world. You can think of that collection as something like Pinterest for classroom design. [35:02] Find those show notes as well as past and future episodes of Leading Lines on our website, leadinglinespod.com. Follow us on Twitter @leadinglinespod or send us a voice memo with your thoughts on this episode at leadinglinespod@vanderbilt.edu. We’d love to hear from you. [35:17] Leading Lines is produced by the Center for Teaching, the Vanderbilt Institute for Digital Learning, the Office of Scholarly Communications and the Associate Provost for Digital Learning. [35:25] This episode was edited by Rhett McDaniel. Look for new episodes the first and third Monday of each month. I’m your host, Derek Bruff. Thanks for listening.